Now we are official! 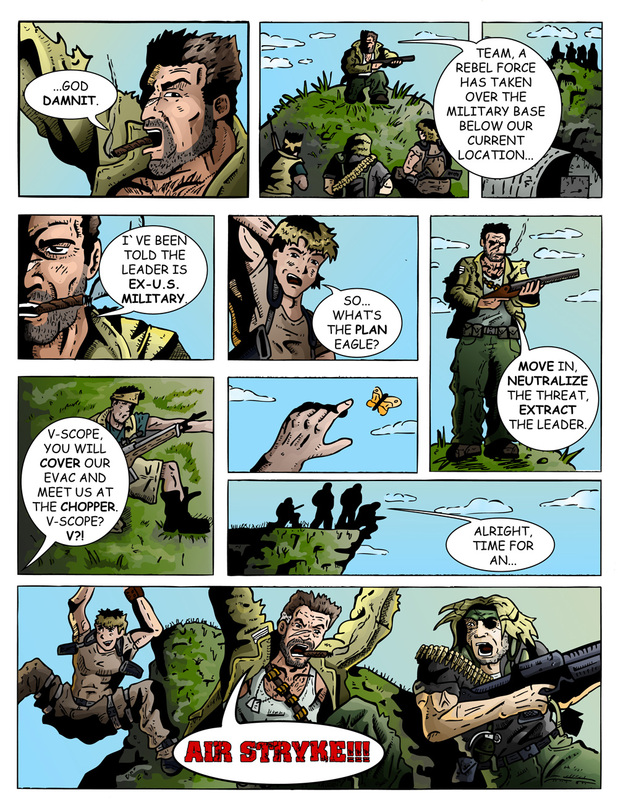 Here is page 02 of Team Stryker Mission 001! This was the first real page to have any kind of story/plot/ characterization, something I hadn’t had much practice with. Until TS came along I was used to drawing single images with no story to tell so this was an interesting experiment. I am horribly guilty of adding too many panels in this first issue of TS but that is simply because I was having so much fun drawing them that I wanted to cram as many shots of Eagleheart, Deadeye, Casanova and V-Scope as I could. Every page taught me something new and brought on new challenges which has made a far better artist.